You are here: Home / Domains, Producers & Appellations / Cavalonia! On the northwestern rim of the Mediterranean Sea lies the beating heart of all things Catalan – the ancient port city of Barcelona. For centuries this powerhouse of maritime commerce has bustled with a vibrant mix of cultures from southern Europe to the Middle East to Africa and beyond. And, if you have ever had the misfortune of referring to someone from the pais de Gaudi as a Spaniard and been dressed down like a groom who comes late to his own wedding (happened to me, the pain is real!) then you certainly have a sense of the fierce pride of Catalonia. If not, consider yourself forewarned! this jewel of the Costa Brava casts a radiant arc of exhilarating light across the Mediterranean for all the world to see! Just a few kilometers to the east is the mountainous region of Penedes (the pines) – home to Spain’s dominant sparkling wine, Cava. The wines are made in the traditional champagne method but see zero malolactic fermentation since acid levels in this hot, southern European zone need not be tamed through this process. 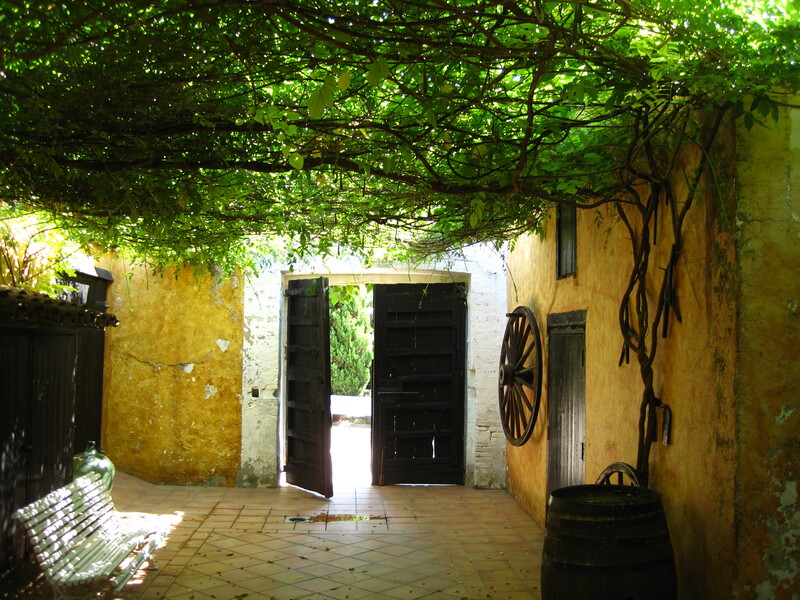 I dropped in for a visit to Naveran, a finca owned by the gracious and jovial Swiss-Spaniard Michel Gillerion, whose maternal great-grandfather had originally grown and sold wine grapes here. This 100-hectare (250 acre) estate produces roughly 30,000 cases of Cava in various styles and blends as well as 4,000 cases of still wines. The traditional varietals of Macabeo, Parellada and Xarel-lo are predominant bringing slightly floral, bright and crisp notes of green apple as well as subtle minerality and body respectively. Naveran, like other high-quality, internationally-minded producers also cultivates pinot noir and chardonnay as well cabernet sauvignon, merlot and some viognier. I toured the domain with the genial chief oenologist, Lluis Casteller. We both dug deep into our linguistic satchels to bridge the gap between my rusty Spanish and his limited-yet-proficient English. After walking the vineyards, observing the disgorgement process in action and exploring the cellars we headed for the enchanting, late 19th-century tasting room. At Naveran, the Cava bottlings come in two tiers with the entry range being a blend of chardonnay as well as the three aforementioned regional varietials. The flagship bottlings, Perles Roses and Perles Blanques are crafted in the champagne style from pinot noir and pinot noir/chardonnay and set the tone for the house. significant periods of rain thus producing wines of a slightly less powerful, sometimes more linear character yet this effort nonetheless showed nice depth with lovely notes of honey and Bartlett pears, brioche and roasted cashews as well as a thread of sweet lemon zest and steely minerality. On the palate the wine was creamy and nicely textured with good persistence – a better partner to squid a la plancha would be hard to imagine. We then moved into the Perles Roses Cuvee Antonia 2008. This wine is made from 100% pinot noir grapes and displayed intriguing flavors of red currants, figs and slightly tart, black cherries. With a minimum of 24 months on the lees it exhibited a rich texture, and notes of fresh dough with a bright and lengthy fruit-driven finish. Its persistent, steady bead of fine bubbles made this an elegant example of what fine Cava can deliver. As I slowly drove away from Naveran down a dirt road lined with jagged olive trees and rows of impeccably tended, alternating trellised and low-lying, gnarled vines I looked into the rear-view mirror and smiled. Fading into an indistinguishable silhouette on the horizon was a domain that spoke volumes about pride of place. 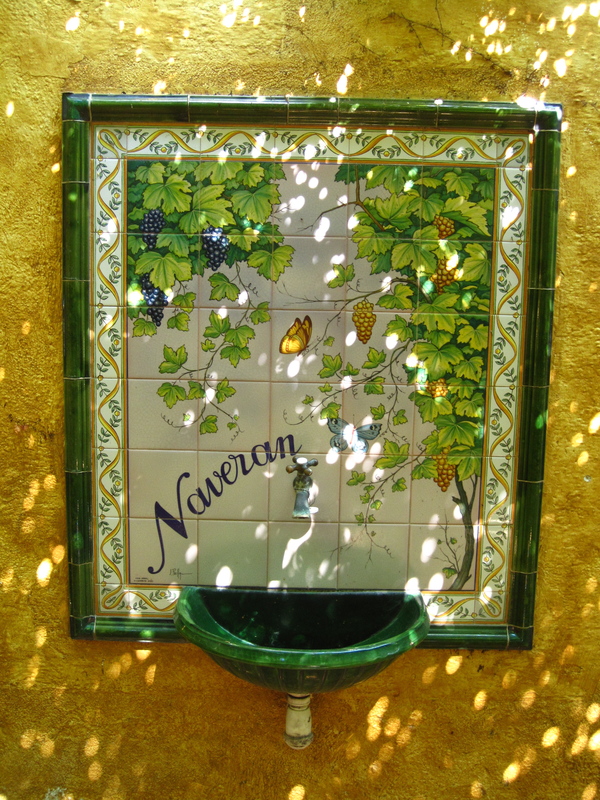 As it is with numerous other meticulously run, artisan wineries throughout the region, Naveran projects the assured and exuberant soul of the Penedes across Catalonia, Spain and indeed, the entire world. 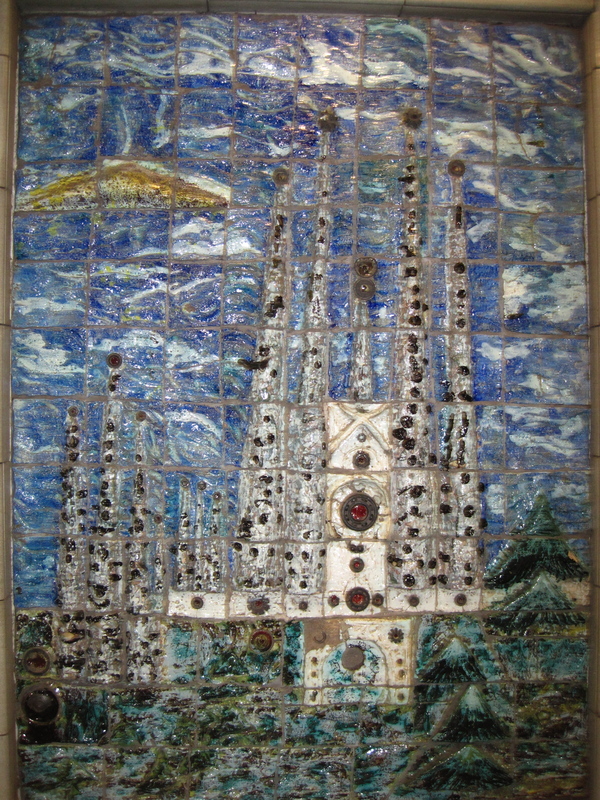 Señor Gaudi would be pleased!